After a couple of weeks off the mat with a sore back and hip joint, I tested things out in Tuesday’s FAFC class and happily headed home with no soreness, bar the niggling hip. Still pumped, I went to the new Australian Elite Team headquarters to train on Wednesday night – still under construction, the mat space is going to be HUGE when it’s done (new mats on order). Something I’m disappointed about though (and I know leasing a space means this is not entirely in AET’s control) is the lack of showers – for both sexes, let alone a female change room. There is one bag storage/change area with a window, so it’s not really a space to full on change in.. and there is one – ONE toilet. To be shared by everyone. I never realised what a luxury even having a female change room and shower was, until I read Jiu Jiu’s blog post on the subject. I have no idea what to expect now when I move to the UK, I suppose it will depend on the BJJ club.. but the thought of having to head home from training on the tube without having had a shower ain’t too appealing! There was a black belt grading tonight which I wasn’t able to attend, but I snagged this team pic off Facebook anyway – such an awesome, inspiring (albeit smelly) Jiu Jitsu family they are! And a final highlight of the week – my patches arrived! Welcome to the UK, hope the rain doesn’t put you off. 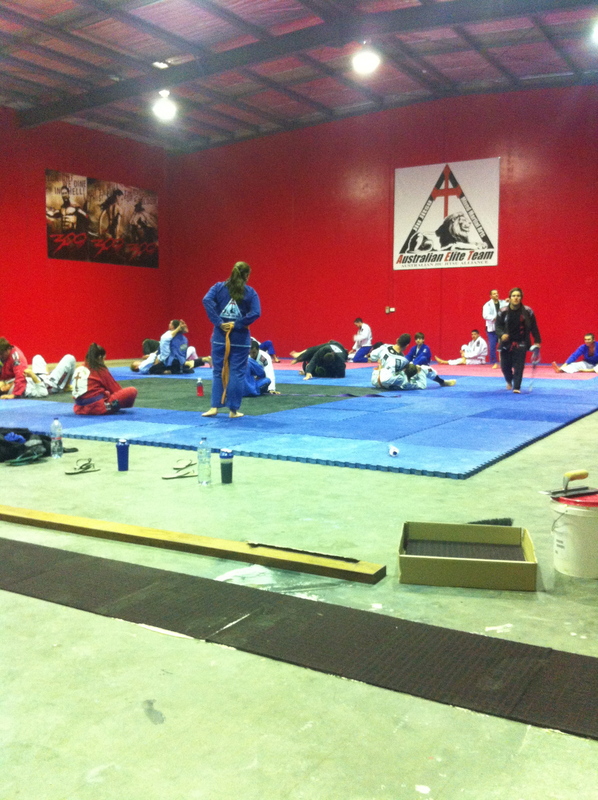 Looks like a great place to train, lots of mat space. 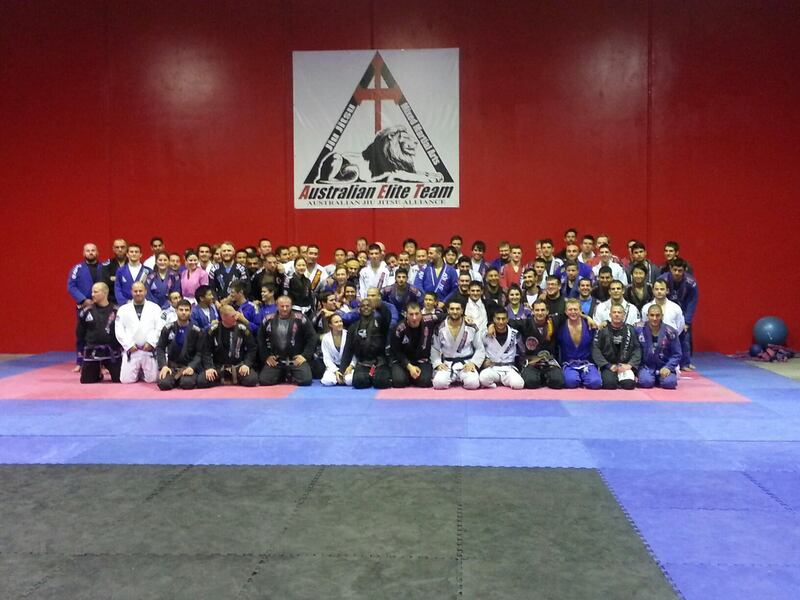 Yeah not sure how true it is, but coach reckons it will be the biggest BJJ mat space at any club in Australia. It’s a big concrete warehouse though, so a bit cold at night when you’re not rolling! Where abouts in the UK are you heading? That patch is brilliant by the way. You’ve got tons of BJJ opportunites in and around London then. So that’s great. I’m sure you’ll find a club that’s perfect. Come visit me in Seoul!! 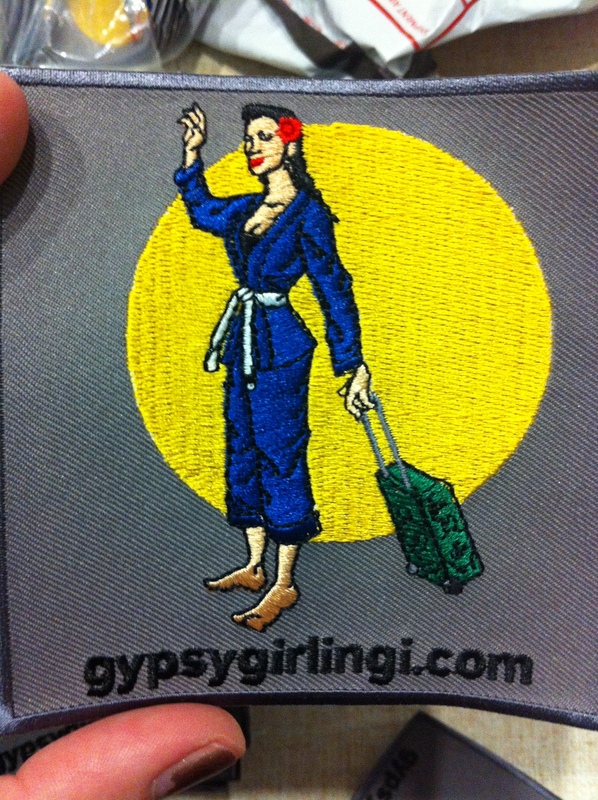 Can you doing again Bjj Travel woman pachtes? Previous Previous post: Bikram Yoga – some kind of hell. Next Next post: Aussie Jits Girls Represent!